Do you want to find your Wifi password? Well, check this list of the best free wifi password finder tools for Windows PCs. Nowadays, a computer that doesn’t have an internet connection stops being an intelligent machine. To solve this problem, I recommend five free wifi password finder tools to get WiFi network keys. I will show you some of the best tools to get passwords from the wireless networks that you have at your disposal. When you are going to connect to a Wi-Fi network from your computer or a smartphone, you only have to enter the network password the first time, since operating systems usually save it so that when you try to connect to that network again network the connection is automatic, not having to enter the password again and again. This is very convenient for users. However, it also helps that, by not needing more the password, you end up forgetting about it. If this happens, thanks to operating systems saving these passwords, it is straightforward to recover them using tools such as WiFi Password Revealer. WiFi Password Revealer is a free wifi password finder tool for Windows that will allow you to recover the information of the networks to which you have connected from your computer so that you can re-enter the password of any system easily. In addition to the password, this tool allows us to recover another type of data, such as, for example, the SSID of the network, the HEX code, the encryption used and the kind of connection. It can decrypt passwords encrypted with WEP, WPA, WPA2, WPA-PSK, and WPA2-PSK. It works with all versions of Windows, even Windows 10. Besides, it is available for both 32-bit and 64-bit. It can be used in Windows Server versions. Of course, we must bear in mind that to be able to decrypt the passwords encrypted with WPA it is necessary to have administrator permissions in the system. WirelessKeyView is one of the best wifi password finder tools that search for you the password that you are using or merely having forgotten it. This can be a problem in the future if you incorporate a new computer or someone comes to visit since you can’t do it without the password. Well, with WirelessKeyView you will not have to worry anymore, because when you execute it, it will show you the keys of all the wireless networks to which you have connected at some time. Once you download it and execute it in a matter of seconds, it will be showing you the name of the network, the key in both hexadecimal and ASCII format, the type of encryption ( WEP / WPA ) and the network interface from which we have connected. 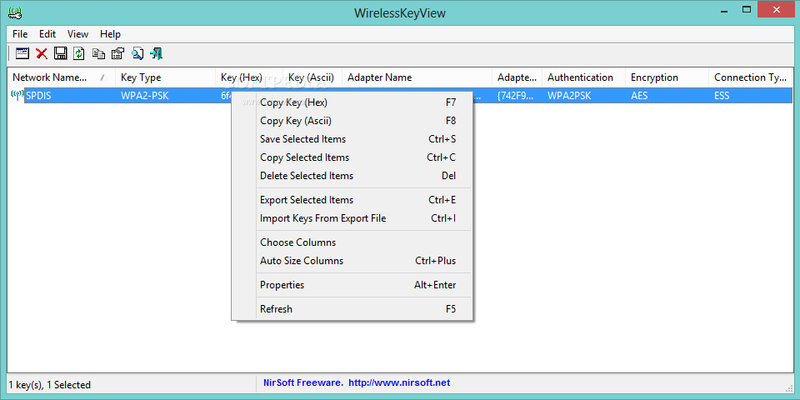 WirelessKeyView only works under Windows, it requires that you log into the system with an administrator account, it doesn’t need installation, and it has a freeware license. Aircrack is a WiFi audit tool (don’t audit the security of a network without having the permission of its owner) that through the capture and analysis of network packets will allow you to decipher the WEP and WPA keys and in this way, you will be able to connect to closed wireless networks. The installation and operation of the tool are quite complex, but on the official Aircrack website, you will find tutorials and a help forum to get the application. Aircrack is a GPL in beta status that is available for Linux. WiFi Auditor is a free wifi password finder tool for Windows operating systems (Java needs) that audits the security of some wireless routers (WPA-PSK keys). If the app finds a vulnerability in the router, you can connect to the internet, of course with the consent of the owner of the connection. 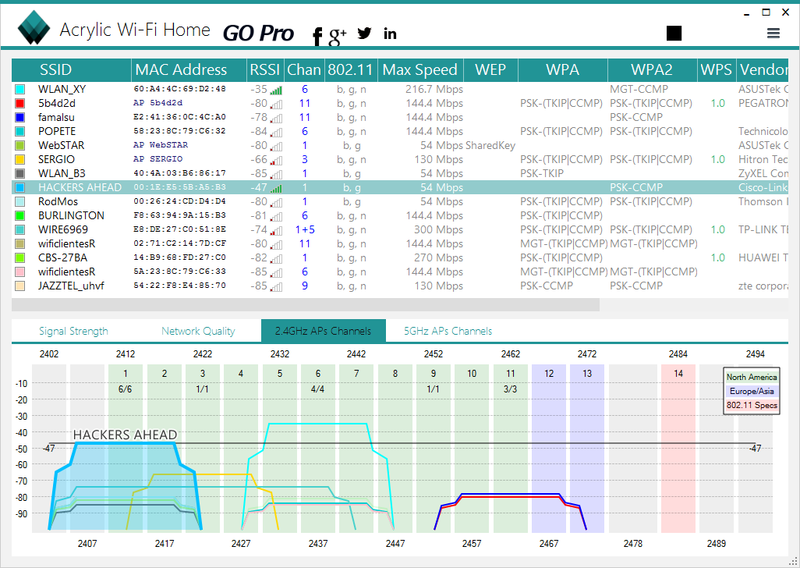 WiFi Auditor is a tool that has few options and, although its use is not as complicated as other similar applications, it has its difficulties. Acrylic is a graphic suite for Windows that combines several security tools for wireless network security. One of the problems of using these tools in Windows is the limited functionality of the drivers when capturing traffic. Acrylic uses a proprietary Microsoft solution and combines it all in one view ( inSSIDer-style channel scanning, weak password recovery, MAC addresses, GPS geolocation and more). Undoubtedly one of the best wifi password finder tools for Windows. I hope that with the mentioned wifi password finder tools can solve your problem of access to the wireless connection. I encourage to use these tools at your responsibility and the proper permissions of the Wifi network owners. Do you use another tool to find your wifi password? Let me know in the comments section to add it to the list.